Manchester United maintained a record of including a product of their youth team in the match day squad in Saturday evening's hard-fought 2-0 win over former champions Leicester City in the Premier League. 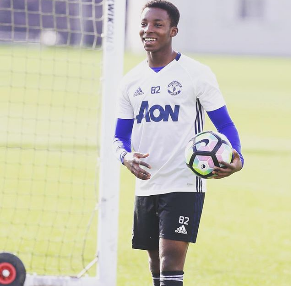 A product of Manchester United Academy Paul Pogba made the starting line-up, while Jesse Lingard and Marcus Rashford were named on the bench before their introduction in the second half. Manchester United Historian The MUFC Academy tweeted : ''One youth player starts and two on bench...3,781 consecutive first team #mufc games since Oct 1937 with youth player in squad #79yr #history''. Fifty percent of all Manchester United first-team players in the last 78 years graduated from the Academy. Gerard Piqué, Paul Scholes, Gary Neville, Phil Neville, Ryan Giggs, David Beckham and George Best are some of the famous names to have played for Manchester United's youth teams before making appearances for the first team.